If you are looking into improving your slide creations and presentation skills, Prezi offers regular webinars on these topics. I do not alway use Prezi, but the concepts mentioned in the webinars are applicable in presentations. I recommend you watch them to learn more about compelling storytelling. I did a talk on Prezi. Step aside, PowerPoint, Prezi is in the room. Learn about Prezi and how it can be used to showcase your portfolio and future presentations on the job. One issue with public speaking with a presentation is that it tends to lean towards speaking TO the audience rather than speaking WITH the audience. Google just introduced a nifty feature called Slides Q&A. With Q&A, the presenters now can insert a link into the Slides presentation, and the participants can submit questions from the smartphones or laptops while they view the slides in real-time. Additionally, the audience can vote on which question they want the presenter to answer the most. This adds an element of interaction with the audience. I know of no other presentation software that does this. Watch the video below to see the feature in action. Google also introduced a new laser pointer option on the web. For information on how to implement Q&A, here is the link to the help article. As a teacher, I use Microsoft Office applications for various purposes. If I can use shortcuts to save me a few seconds here and there, they add up. Microsoft add-ins are a great way to save time. The add-ins plugs into Office and provide additional features not found in the default installation. You usually access them via the added Ribbon tab. There are two add-ins I use on a regular basis. One is the popular ASAP Utilties. It adds over 300 features and shortcuts. For example, one function coverts unrecognized numbers (?text) to actual numbers. This add-in is free for home and student users and works with Excel 2000 (!) and above. The second add-in is the Office Tabs. This adds tabbed editing and browsing of the open documents (workbooks and presentations). One downside to Office 2013 is that it does not supported tabbed view. That means when you open multiple workbooks in Excel, for example, they each show up in a different taskbar button at the bottom of the screen. Windows sometimes consolidates all the buttons as one button so you have to manually hover over the consolidated button and find the workbook you need to switch over. Install this add-in and managing multiple open workbooks because a breeze. Other features include saving all open files with one click, renaming files, and closing documents. Take a look at the web site for more features. 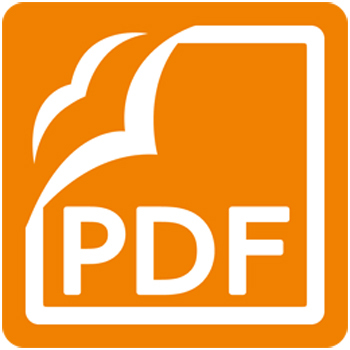 PDFs are more universally viewable, particularly within a browser. If the students use Google Chrome, this is a good choice as Chrome has a built-in PDF reader. I have students who use Office for Mac, who sometimes cannot view PowerPoint 2013 slides. PDFs don’t contain extra information such as notes. So which PDF reader is a good complement to presenting? I recommend Foxit Reader. It is smaller in size and is less susceptible to security issues like Adobe’s Reader does. I like Foxit because it has one feature that I use all the time: Typewriter. It lets you “type in” the slide. So I can put some notes are text while I am lecturing. All you can do is just type in simple text, but it is much easier than doing so in PowerPoint. I recommend you learn about this feature. I gave a talk on hacking PowerPoint to get more out of the software. Your presentation is about your story. Whether it is about the status of a project, decision making or to convince someone to act, it is not about the slides that you are tasked to create. It is fair to say that the vast majority of these slides are created in PowerPoint. The problem is that most of are poorly put together. This presentation will show you the tips and tricks to master Microsoft PowerPoint so that you can power through your next presentation. I still default to Microsoft PowerPoint when it comes to presentations, but I found two new entries in the presentation field that may be worth a look. The two primary reasons why I still use PowerPoint is that people understand PowerPoint files and there is no need to explain how to view/print them. Ever since LinkedIn/SlideShare integrated uploading the PowerPoint files into the service and now the users are able to display them in their LinkedIn profiles, I have not tried any other presentation software. Enter Sway. It is interesting that Microsoft would introduce a competing product to its own PowerPoint. It makes sense though, because PowerPoint is not really designed for the online-centric world. Looking at Sway, I see the a different design philosophy. People have heard of “death by powerpoint.” It is all too easy to cram all types of information into individual slides. Sway is surprisingly simplistic. Once you start with a blank Sway, you can add photos and text to telling your story. Another feature worth mentioning is that it is easy to share the Sways on the tablet or a smartphone. Share a link, and boom it’s viewable. You don’t even have to know how to publish the Sway or convert in any way. Sway is available at Sway.com. Haiku Deck is interesting. If you are familiar with Prezi, it is similar. The main difference is that Haiku Deck is editable mostly from within an Ipad. I feel that the development is still in the early stage, so you cannot create an elaborate presentation (yet), but it is simple and quick to use. One advantage is that it is very easy to add photos and images from anywhere, from the same menu. I saw Haiku Deck and I was intrigued, but I didn’t get hooked right away. However, you can now create a Haiku Deck from within LinkedIn/Shareslide, so it is viable to share and maintain your Haiku Decks along with other slides in Slideshare. I have to explore this option more thoroughly. Haiku Deck is available at HaikuDeck.com.